I love white polish and this one was not exception! Application was wonderful, I was not able to get a lot fo the big glitters, but that is probably because I didn't shake the bottle enough. After a couple of days I got some tip wear on the accent finger so I did a gradient with Lynnderella Snow Angel. Thanks for looking... til next time! Pretty looks great with the accent nail. I never get tired of seeing Jawbreaker! I love your accent nail! I love the accent nail with the solid color! So pretty! I'm wearing a Jawbreaker jelly sandwich right now... I did not think I would like this polish this much! your nails look so eatable! i wanna eat em.hahahaha without being creepy.lol love it bish! This is so pretty, I love Jawbreaker! I LOVE it too, its awesome! 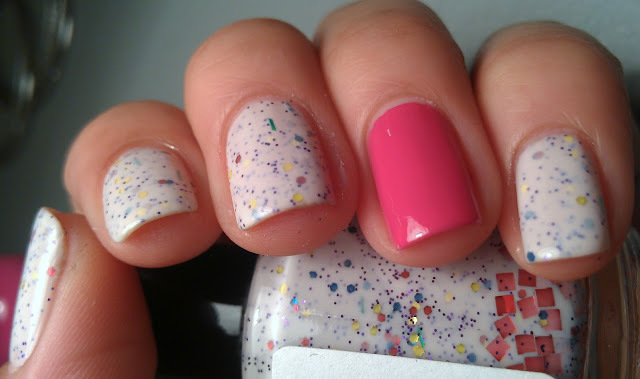 I had the same problem with mine, all the big glitter didn't show up on my nails either. It looks amazing though, especially with the accent nail! It looks like you've dipped your tips in sugar sprinkles!!! I admit I'm not in the heap of indies but I do love white polishes and I love the accent nail sponged on top! This looks so pretty!! Great idea with the gradient! Very pretty. I like the accent nail! Very pretty! I like this a lot. Love the accent nail. I like your version better! Love the accent nail! aweee thanks friend :) you rock! Pretty! The big glitters don't move when you shake the bottle though, at least not in mine. 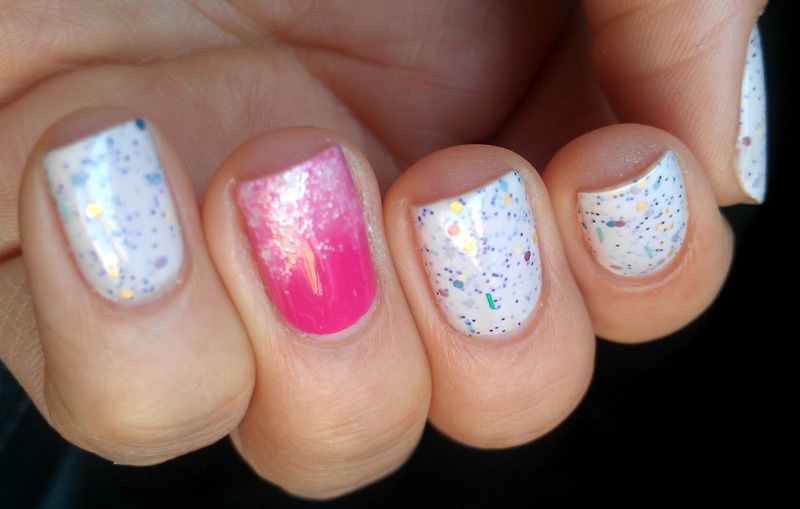 I turn mine upside down and leave it until I'm ready to paint my nails and then the big glitters are at the top.